The Limerick City Tidy Towns monthly award for September has gone to to Amee’s Boutique at No 4 Lower Cecil Street for their consistently beautifully maintained shop frontage in the heart of the city centre. Pictured outside the shop being presented with the award by Maura O’Neill of Limerick City Tidy Towns is owner Mary McMahon (Photo: Maxine Bramley/ILoveLimerick). While we regularly give awards to new premises in the city or for refurbishment of existing premises, it is also most important to recognise long-standing Limerick businesses and reward them for consistently maintaining such high standards in their appearance over many years. 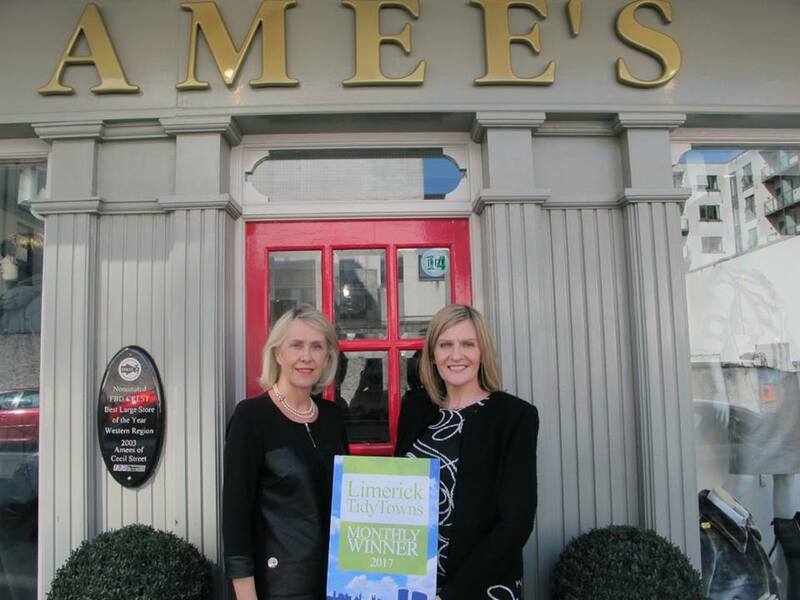 Amee’s is a perfect such example and we are delighted to recognise them this month and to thank them for their long-standing contribution to the image of the Limerick retail sector. Their shop frontage is always immaculately presented with lovely signage, spotless paintwork, attractive window displays and plants at the entrance, making it a great asset to Lower Cecil Street, particularly being so prominently located right next door to the GPO. Amee’s first opened in 1952 and are this year celebrating 65 years in business, which is a wonderful achievement. As one of Limerick city’s longest established ladies’ fashion retailers, Amee’s reputation has continued to grow and it has become a market leader in boutique fashion, stocking such collections as Sonia Pen, Moncho Heredia, Olimara and Gerry Weber. To this day, it remains a family run business which prides itself on customer service and making everyone who shops there feel special. Every visit there is like a personal shopping experience and as a result, it maintains a loyal customer base. Please do drop in any time or visit their Facebook page, Amee’s of Cecil Street. Limerick. 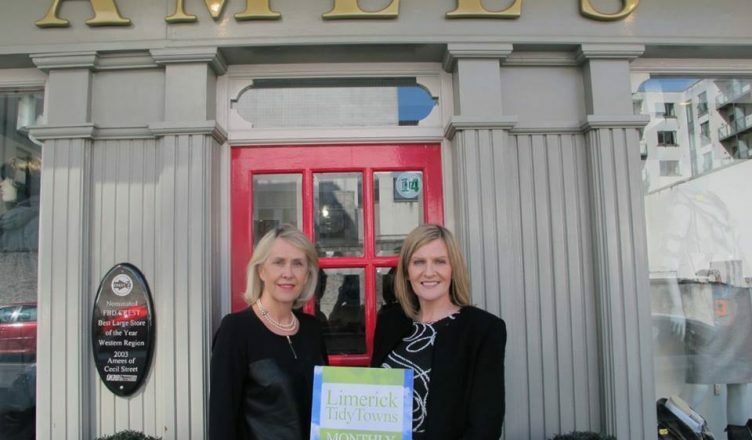 Amee’s is the ninth Limerick City Tidy Towns winner for 2017, following O’Connell’s Butchers in August, The White House Bar in July, Bluebird Care in June, Enzo’s in May, Billy Higgins Clothing in April, No 1 Pery Square in March, Casey’s Londis Mount Kennett in February and Narrative 4 in January, and all monthly winners will be in with the chance of winning the overall prize for 2017 at the annual Tidy Towns event to be held early in 2018. Limerick City Tidy Towns would like to thank Maxine Bramley from I Love Limerick for taking the photographs for this and all of their monthly awards.